Capcom has released a new ad to promote the release of its Resident Evil 2 remake. The ad was developed by digital advertising agency Biborg. It features branching paths that contain different aspects of the newly released survival horror game. Biborg has also developed interactive experiences for Bandai Namco, Netflix, Riot Games, Sony Interactive Entertainment, Ubisoft, Wargaming and Warner Bros. 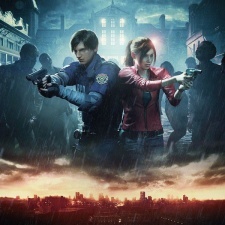 Similar to Netflix’s own interactive ad campaign for Bandersnatch, the Resident Evil 2 ad gives viewers choices for the game’s two protagonists, Leon Kennedy and Claire Redfield. The interactive ad is about 1 minute in run time, with a tagline that states “The Choice is Yours”. “It’s been a great experience working with Biborg on this campaign and these Interactive Trueview ads, in particular, were perfect for depicting the story choices you’ll have to make in our game.” Said Capcom UK brand manager Stefano Barolo.